Bought a prs se custom 22 grey black in 2007. After my dad showed me the PRS website. Have been playing off and on for 13 years. Are you a time traveller? Is 2020 fun? I feel like I should be able to see everything. Not a time traveler, I wish I was. Then I would know if I was able to buy another PRS down the road. How do I post a picture? (4) that opens another window and you paste the url of the picture into the box that opened. You needed 3 posts to be able to have pics and now you have that... so post pics now! Shoop and Alnus Rubra like this. Finally, got my pictures to work. 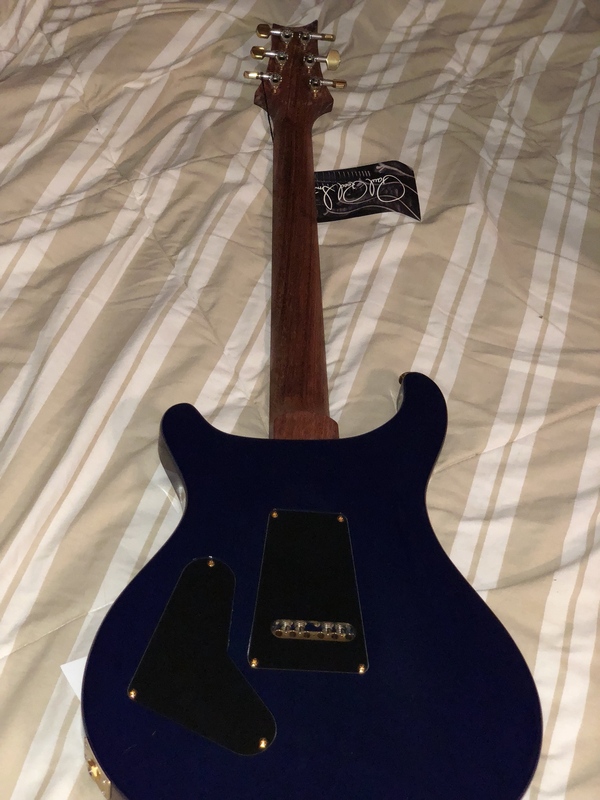 My Custom 24 10-top with bruise wrap burst, and hormigo neck. shimmilou, Alnus Rubra and bodia like this. Thanks! Got really lucky when I went guitar hunting. In an effort to prevent certain types of spammers, new users will be prevented from using Private Messaging and having custom signatures associated with your posts. After you've participated in the forum (10 posts), all normal functionality will be open to you, so quit lurking! Thanks for the welcome, I purchased a new CE24 this past weekend at gearfest at sweetwater. I am so excited to play it as much as I can. I have been trying to find "the one" for me and after 3 years of looking at trying them I have her now!!!!!!! 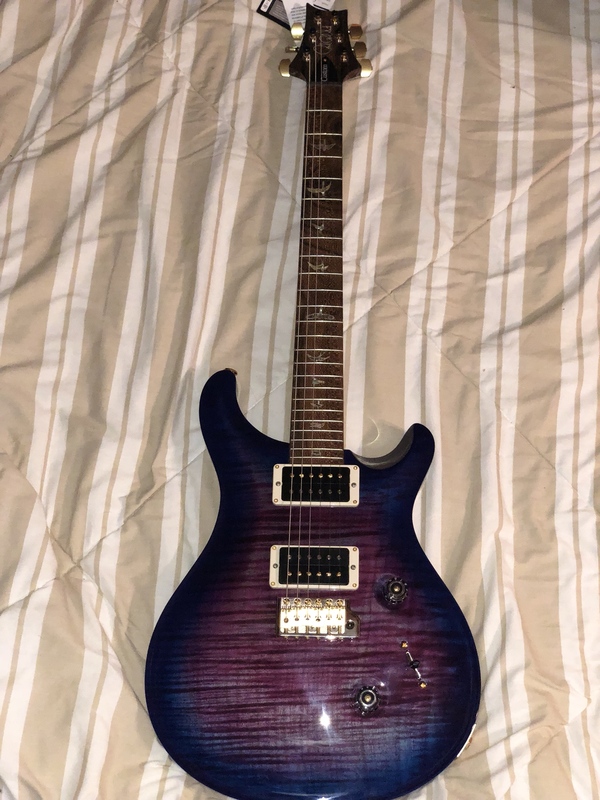 Just purchased my 1st PRS guitar! Super happy with my Silver Sky! T-Rex, shimmilou and Alnus Rubra like this. Welcome to the forum! Congrats on your first! You picked a good one! Although, they're all good! Hello everyone! 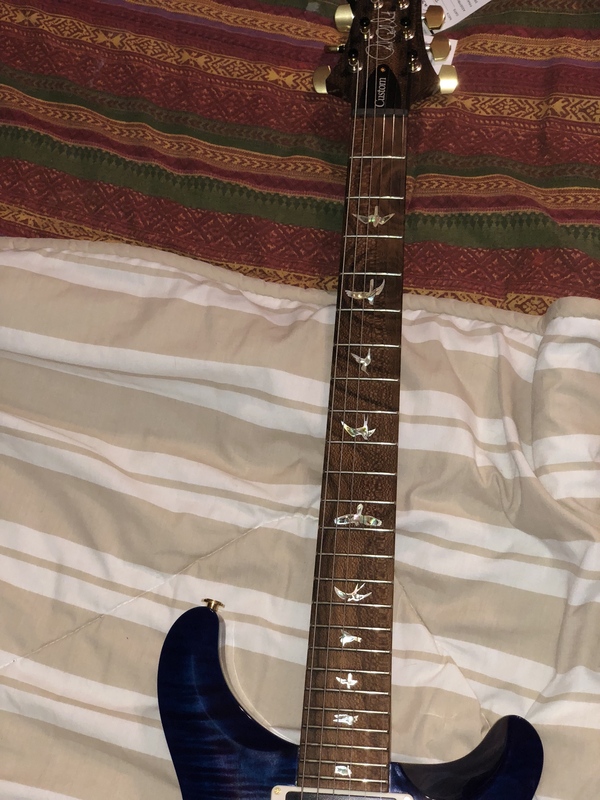 I just purchased my PRS Custom 24 and I'm excited to be here! ScottR, Wakester, Aaron Lee and 6 others like this. Welcome to the forum. I have one of those and it is proving to be a very nice instrument. You made a good choice. Welcome. You got the guitar I will eventually purchase.